It’s an old idea reborn. Using bicycles for business in the U.S. dates back to the early 20th century in factories by tradesmen. While the automobile essentially killed the use of cargo bicycles, they’ve seen a re-birth since the early 90’s. Now, they’re starting to find there way in everyday uses for families and businesses across the country. Of course, Oak Cliff is no stranger to the friendly palatero man riding down the street! 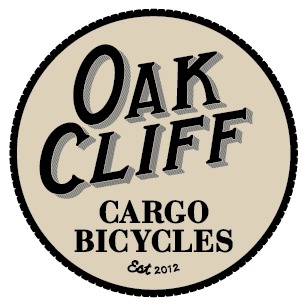 That’s why Oak Cliff Cargo Bicycles will be working on two mobile business related cargo bicycles. The first will be an espresso cargo bicycle made for Jason Farrar who works for Oak Cliff Coffee Roasters. He wants a bicycle that can support a small espresso operation at local events. Next Next post: A Bonnie build… See the finished product this weekend!